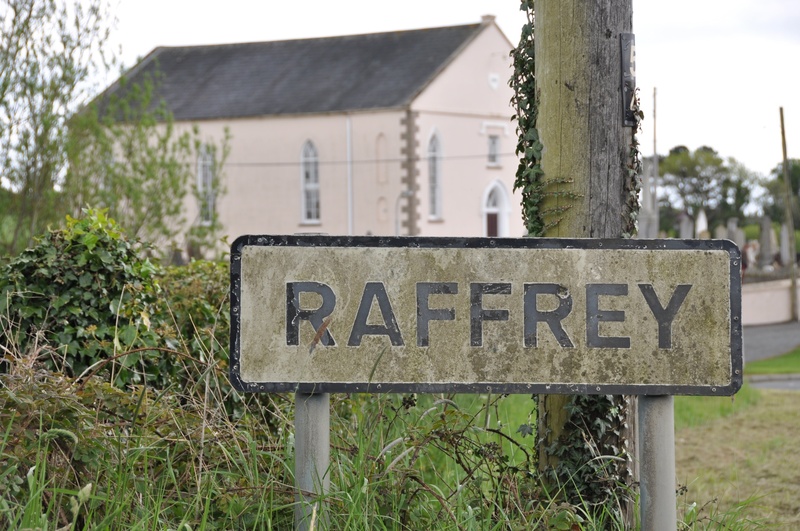 Today’s townland is Raffrey in County Down, about halfway between Saintfield and Killyleagh. According to the PLACENAMESNI website, the name Raffrey is so old that its meaning is uncertain, but could possibly mean “place by water” or “rugged place”. 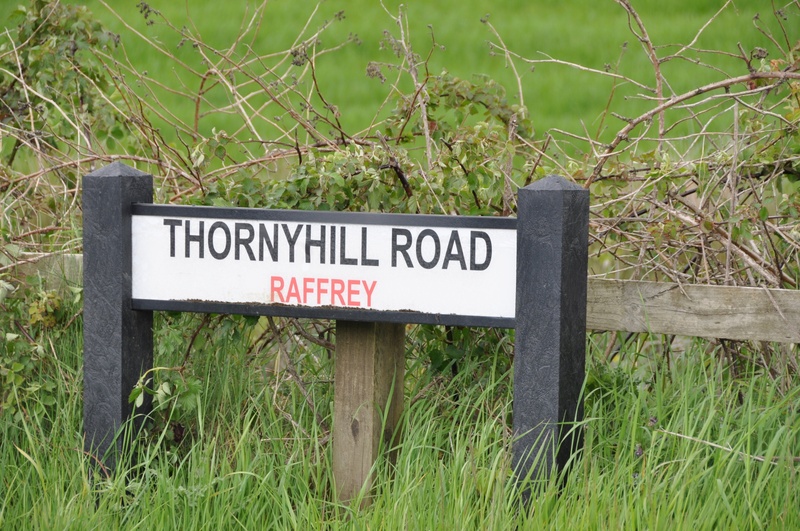 I approached Raffrey in the car along Thornyhill Road. The next two photos show how the road lives up to its name. There’s also a bus from Belfast to Raffrey. 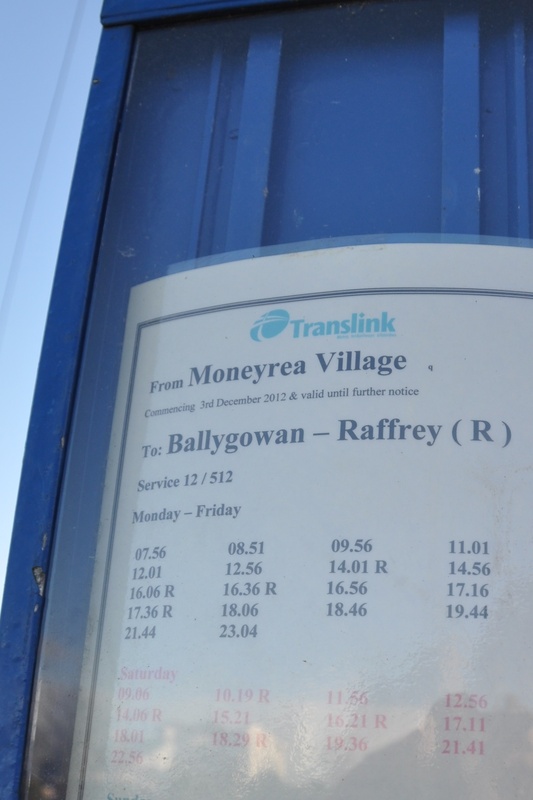 I’m adding this sign to my collection of different spellings of the townland of Moneyrea or Moneyreagh. The building behind the “Raffrey” sign in the first photo above is Raffrey Presbyterian Church. Many of the older headstones in the church graveyard record the townlands of the people buried there. Here is one example of an inhabitant of Raffrey, Mr William McCreery, who died in 1877. 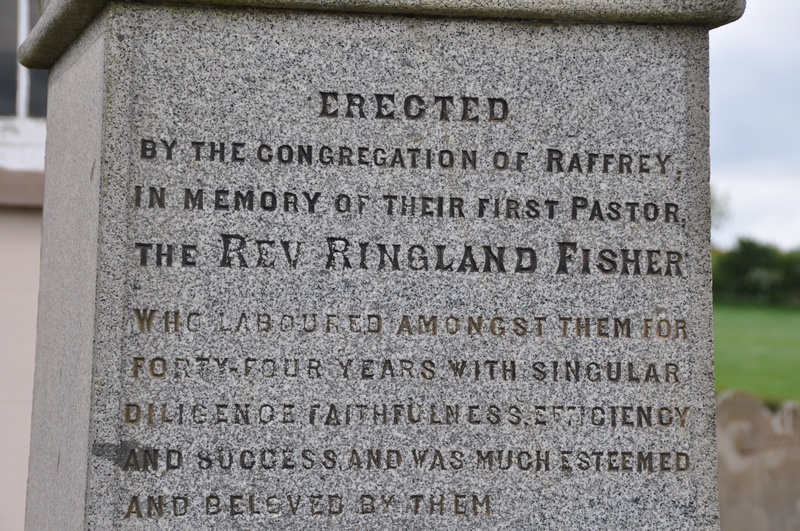 There is also a memorial from 1888 for the first pastor of Raffrey church, celebrating the “diligence, faithfulness, efficiency and success” of the “much esteemed and beloved” Reverend Ringland Fisher. The memorial is right in front of the church, and I would love to know if his successors have felt pressure from this stone as they started work here. 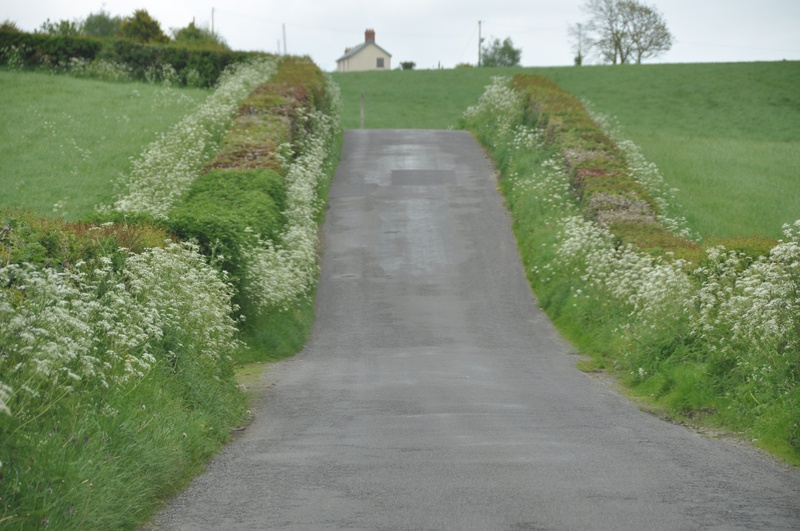 Which townlands border Raffrey? To the north, Ballymacashen and Drumreagh. To the east, Ballymacreelly and Derryboy. To the south, Ballyalgan and Creevybeg. To the west, Barnamaghery. 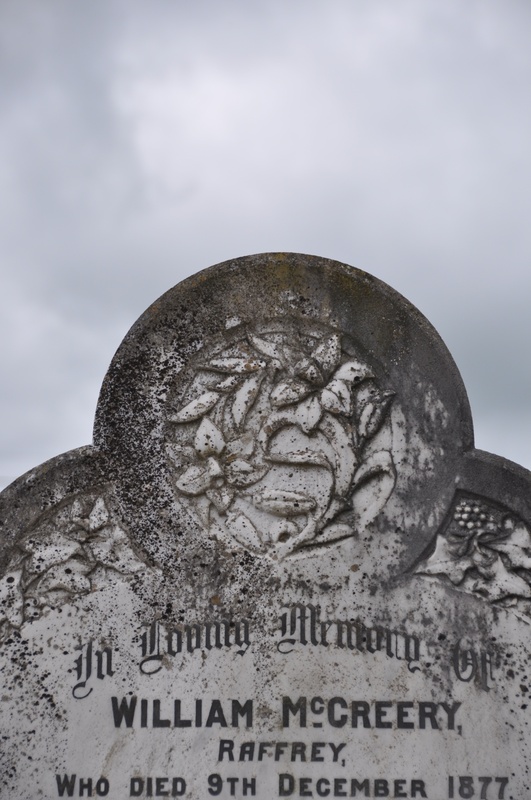 Click here to see gravestones related to this townland. my 3 x great uncle was Ringland Fisher. His niece Mary Ann Hetherington married Thomas Kilpatrick . The Kilpatricks emigrated from Killyleagh in1848 to NYC where Thomas became a successful builder. Looking for his father who died before the family emigtated.